GTANet.com - Now With Added Vitamins! : News Item - Violent Videogames lead to drugs and alcohol? Violent Videogames lead to drugs and alcohol? "According to a study conducted by University of California's Dr. Sonya Brady and University of Pittsburgh professor, Karen Matthews, men that have just played violent video games (e.g. 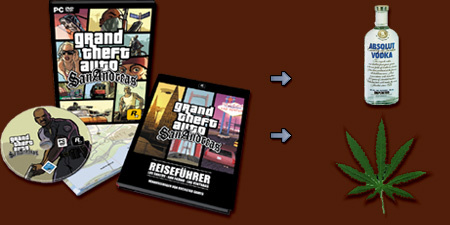 Grand Theft Auto III) are more likely to smoke marijuana and drink alcohol."